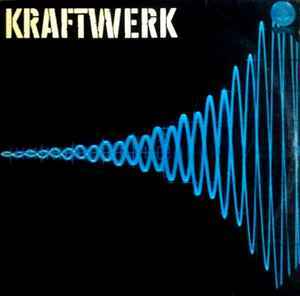 UK combined release of Kraftwerk's first two German albums (originally released on Philips). Initial pressings feature Vertigo "swirl" labels & inner sleeves. Unlike this other version, "Made in England" is printed above "Ⓟ 1972" on both "side B" labels. The label erroneously lists D3 as ''Wellenlange''. I found one of these spiral label copies for £30 in a second hand shop. One edge of the second disc is slightly warped / wobbly. It has the spiral inners and the sleeve is in good order, so apart from the slight edge warp it's still a good find. I have this Vertigo version as described with the exceptions being that the inner sleeves are just plain paper and not printed "Vertigo" inner sleeves. The L.P. labels are indeed Vertigo logo and the B sides indicate Made In England. The "a" in Wellenlange is also missing the umlaut.